Production speed: max. 40 per min. 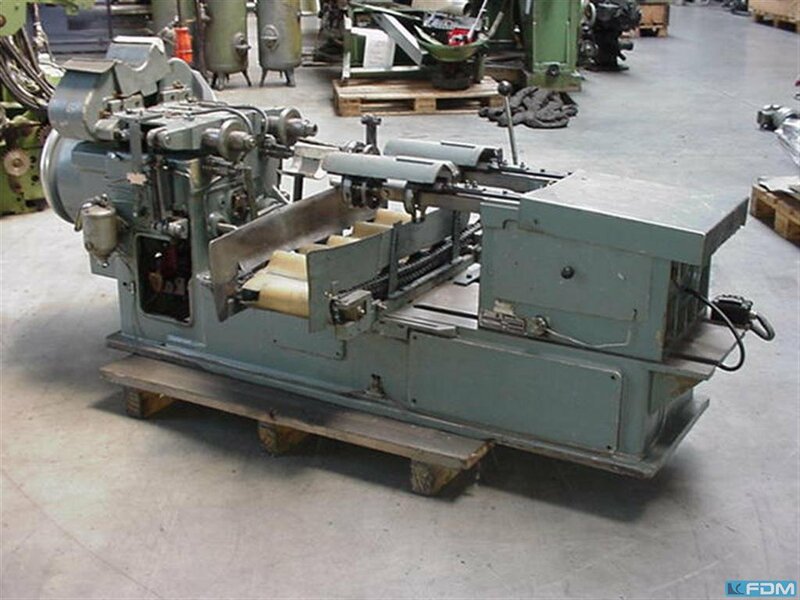 This machine was especially developed and used for machining the neck of aluminium transport bottles. For this purpose, the hollow bodies are horizontally and cycle-controlled fed one after the other into chuck holders. The process is made in two working stations with appropriate tooling equipment. 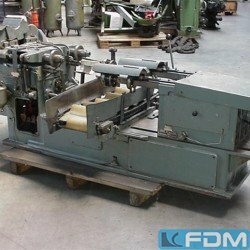 For the in-and outfeed of the hollow bodies, appropriate equipment is available, however, not mounted to the machine and not adjusted to a certain workpiece size. Obviously, the basic equipment of the machine is suitable for another use. A mechanical and electrical check is recommended and all processing functions must be re-adjusted. Furthermore the appropriate tools are necessary for a future use.